Daily use carry bags from the house of Total Packaging Services, can be used for various purposes like take-away/ parcel, for packing, for easy carry of products during commute. We are a leading entity, occupied in presenting a wide range of Pick Up Bags. Furthermore, our customers can avail these products from us at reasonable prices. 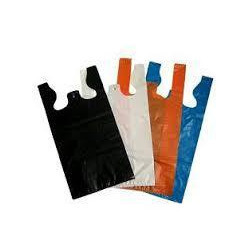 These Pick up Bags are manufactured using HM HDPE and widely used by our clients. We export these bags to our clients all over the world. These are known for their silent features like High strength HDPE material, recyclable, long service life. 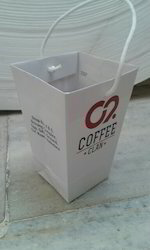 These bags are very stylish and attractive and can be modified as per our requirements. We are engaged in offering a superior range of Plastic Pickup Bag to our valued clients. Owing to its design, these bags are admired in the market. White Plain Pick Up Bag, Size/Dimension: 16" X 20"
Owing to our enriched industrial experiences, we are devoted towards manufacturing a wide variety of excellent quality Pick Up Bag.